Aidan Cottage in Craster, Alnwick sleeps 4 people. Just 200 yards from Craster harbour is this traditional holiday cottage in the centre of the village. 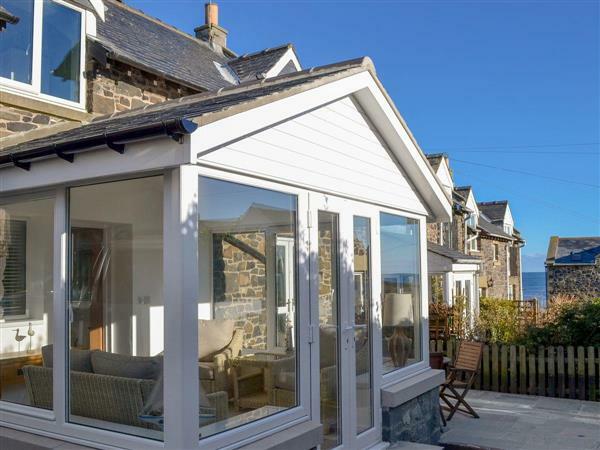 Refurbished to a very good standard maintaining the coastal theme throughout. Flowered garden/sitting area at the back. Enjoy watching local fishermen bring home the daily catch from the picturesque harbour. Try the wonderful coastal walk along to the ruins of Dustanbrough Castle, an ideal base for birdwatching, walking, touring, fishing and golf. Visit all of Northumberland’s castles and attractions from this ideal base. Shop and pub 100 yards, restaurant 50 yards. Ground floor: Living/dining room/kitchen. Beams throughout. First floor: 2 bedrooms: 1 double, 1 twin. Bathroom with shower over bath and toilet. Economy 7 heaters, electric, bed linen and towels included. Electric cooker. Microwave. Washing machine. Fridge/Freezer. Small garden. Patio and furniture. Parking (1 car). No smoking please. Holidays at Aidan Cottage run from Saturday to Saturday. For a better idea of where Aidan Cottage is, you can see Aidan Cottage on the map below. Aidan Cottage is in Northumberland; should you be on the lookout for a special offer, you can find all the special offers in Northumberland. It's always worth checking to see what is on offer at the moment. Do you want to holiday near Aidan Cottage (23018), you can see other cottages within 25 miles of Aidan Cottage; have a look to find your perfect holiday location.